Disaster recovery and construction experts. Our professional in-house and skilled tradesmen and technicians thrive on providing outstanding quality workmanship. Our staff is the result of our hard earned excellent reputation in the industry. 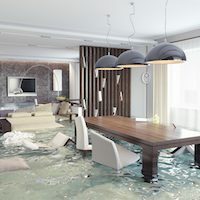 Water damage describes a large number of possible losses caused by water intruding where it will enable attack of a material or system by destructive processes such as rotting of wood, mold growth, rusting of steel, de- laminating of materials and many others. The average home owner in many cases will prefer renovating than relocating. Our highly qualified in house staff are trained to make a renovation project as seamless and successful as possible. 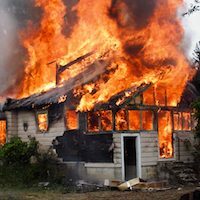 Fire damage is a devastating event and can vary from a minor kitchen fire to a total loss or a disaster such as wildfires that can affect entire communities. Each require a knowledgeable approach and sensibility training. 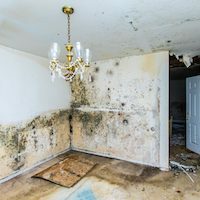 Mold is part of the natural environment. Outdoors, molds play a part in nature by breaking down dead organic matter such as fallen leaves and dead trees; indoors, mold growth should be avoided. Mold is reproduced by means of tiny spores. Asbestos is found in many materials. Our trained staff will take the necessary measures to take samples of the possible asbestos containing materials and submit them to reputable laboratories for testing. 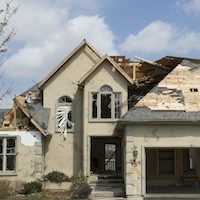 Storm damage repair is unpredictable and often results in properties will experiencing a combination of water and wind damage. Skilled professionals also need to establish the structural integrity has been compromised in a way that can affect public safety. DIRESCO is a reputable contractor providing a full array of restoration, remediation and renovation services. Our in-house staff is bilingual, courteous, knowledgeable and has been through security clearance screening. We will make arrangements to dispatch our emergency staff in a timely manner and a project manager will look after the entire project. Founded in 1997, DIRESCO is a locally owned and operated restoration, remediation and renovation company and a recognized leader in the industry. I would like to this opportunity to express my gratitude and sincerest thanks to you and your crew for the remarkable work, job well done. Despite the fact that it was an insurance claim, I believe that you and your crew deserve recognition. The restoration crew were all so very professional, very pleasant to talk with and attentive. Please extend my thanks to Yves, for his outstanding work on the dry walling and the finishing touches! He is skilled and efficient! I truly appreciate all you’ve done! Thank you Diresco! Shirley W. and Robert W.
Copyright © 2001-2018 DIRESCO Inc. All rights reserved.